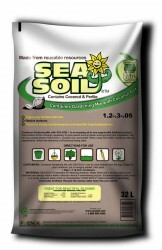 The Complete SEA SOIL Product Line. Created from a mixture of fish and forest fines. 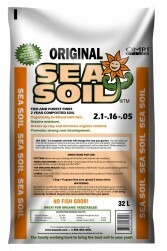 This top-quality product is rich in colour and in nutrients while maintaining a neutral pH. Container Complete is made with Organic ingredients! 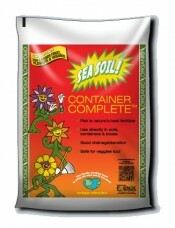 Finely screened, award winning SEA SOIL with a precise blend of Perlite, Coco Coir and Azomite to create a complete container Mix. Azomite is 100% natural, supports plant growth and helps remineralize your garden for healthy fruits, flowers and vegetables. 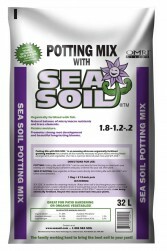 This OMRI-listed potting mix is an amazing all-in-one organically fertilized growing medium that contains all the nutrients necessary to grow award-winning flower arrangements and vegetables. 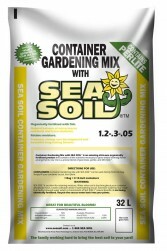 Container Gardening SEA SOIL™ Mix is an amazing all-in-one organically fertilized product that contains all the nutrients necessary to grow award-winning hanging baskets and flower arrangements. Potting Mix with Coconut Coir is an amazing all-in-one organically fertilized growing medium that contains all the nutrients necessary to grow award winning flower arrangements and vegetables. 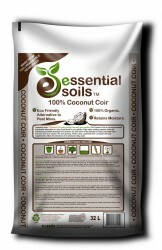 Our mix is a precise blend of SEA SOIL™ and Coconut Coir. Container Gardening Mix with Coconut Coir is an amazing all-in-one organically fertilized product that contains all the nutrients necessary to grow award-winning hanging baskets and flower arrangements. 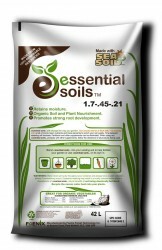 essential soils™ Garden Soil is an award-winning, weed-free soil which has been proven in the garden industry to be a quality organic soil and soil amender. Coconut Coir is an environmentally sustainable alternative to using peat moss in your garden, and an outstanding medium for all your growing needs.